GEN Herbal Shampoos & Conditioner are back with brand new packaging and improved formula! With the addition of a pump, it makes the showering process much less messier! Similar to Roots Herbal Shampoos, we have Skin Problem Relief, Herbal White, Flea & Tick Control and Silk Protein. Finishing up with our Therapeutic Conditioner, it leaves your furkid’s skin and coat smooth and fluffy! For more information on our products, do visit here. Good news is, we are having a bundle promotion till end of October 2017, while stocks last! 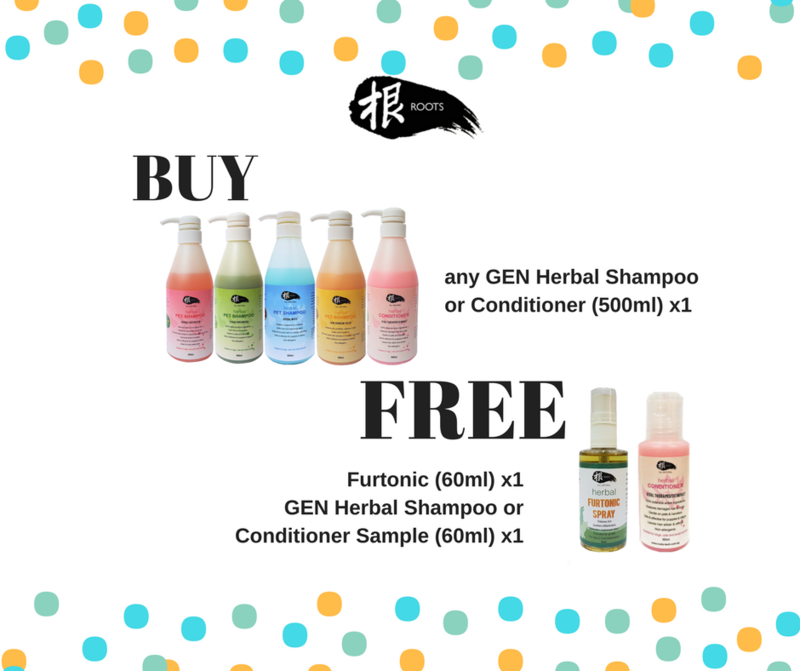 With every purchase of any GEN Herbal Shampoo or GEN Conditioner, you will receive a Furtonic Skin & Coat Spray (60ml) and GEN Conditioner (60ml)! 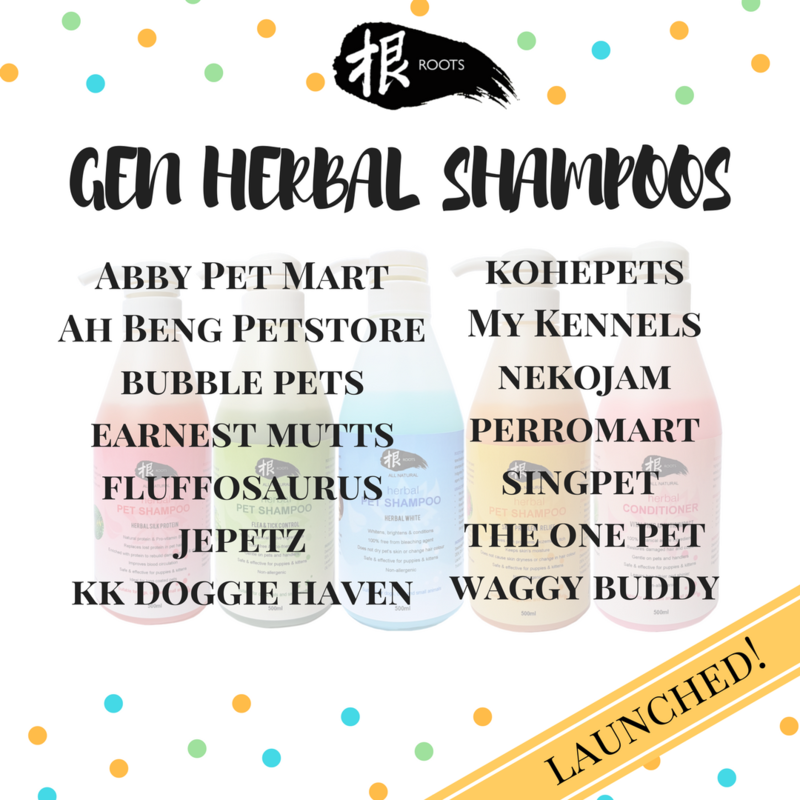 Meanwhile, the former Roots Herbal Shampoos will still be available for sale in some of the pet shops. Where to get GEN Herbal Shampoos/Conditioner? Head over to the retailers mentioned above and get yours now before it’s too late! Visit our full list of retailers here. Remember to follow us on Instagram @roots_technologies_sg or Facebook Roots Technologies SG for more exciting news and updates!